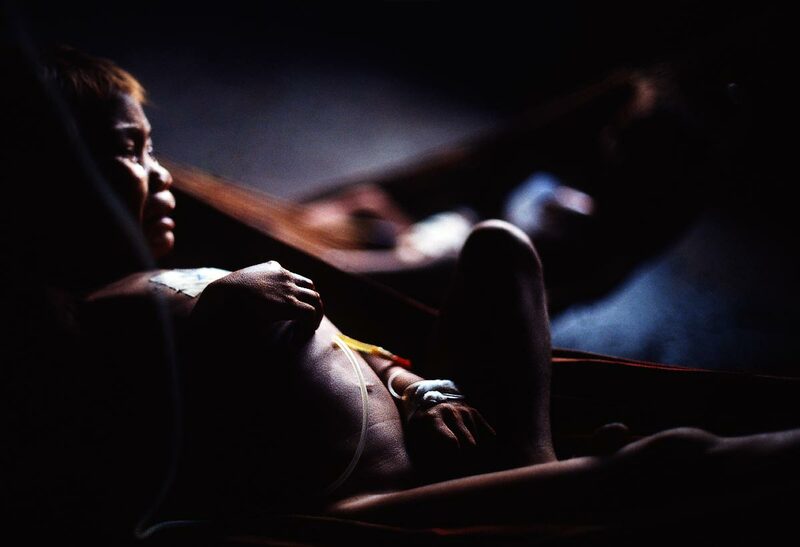 Sick Yanomami child with malaria, a mosquito-borne infectious disease, commonly associated with poverty. Amazon rainforest, Brazil. Mining in indigenous land led to environmental degradation and the relationship with gold miners caused acculturation and diseases to the indians.